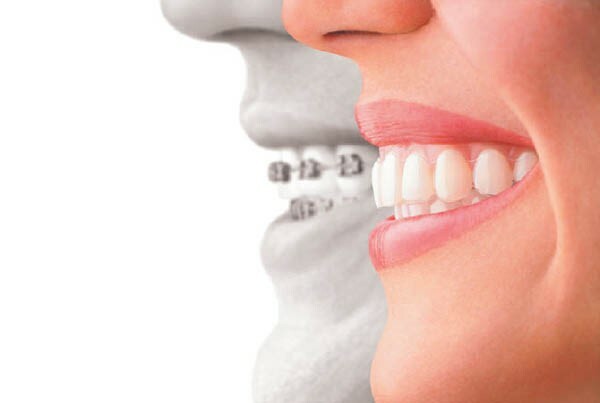 Made to straighten every kind of smile, Invisalign is a dental treatment with removable and almost invisible aligners that are specially tailored for your set of teeth to slowly move them where they should be placed. Every movement is subtle and gets you closer and closer to a straight smile with efficiency, precision and softness. Straightening your smile will have a positive impact on your general oral health. Open bite : Dental problem that can affect your ability to chew as well as the way you speak and your diction ability. The most frequent type of open bite is an opening between the lower and upper front teeth. Dental crowding : Usually caused by the fact that your jaw is too narrow for your teeth. Crowding is when some of your tooth will try to override over another. This type of problematic can cause additional tartar to accumulate between the tooth which increase the chance of tooth decay. Most of the time, an additional procedure is required because of the small jaw. Malocclusion : There is a lot of different type of malocclusion. Most of the time it is seen as an esthetic aspect, but it can also have greater effects that can bring a lot of problems, like migraines or a lack of support for the jaw. Some serious cases will require surgery. Diastema : Most commonly known as gapped teeth because of the space between normally adjacent teeth. While it is also seen as an esthetic problem, if it is not treated properly, you have increased risk for gingivitis and periodontal diseases. Usually, you need to change the aligner once every 3 weeks, but this can vary depending on the patient’s specific condition and advice from the dentist. Furthermore, because there are no metal braces involved in the process, it is a much bearable experience that allows you to keep eating and doing what you like. It also allows you to brush and floss normally, which lets you keep a much better dental health. It is also a much greater option for teenagers. 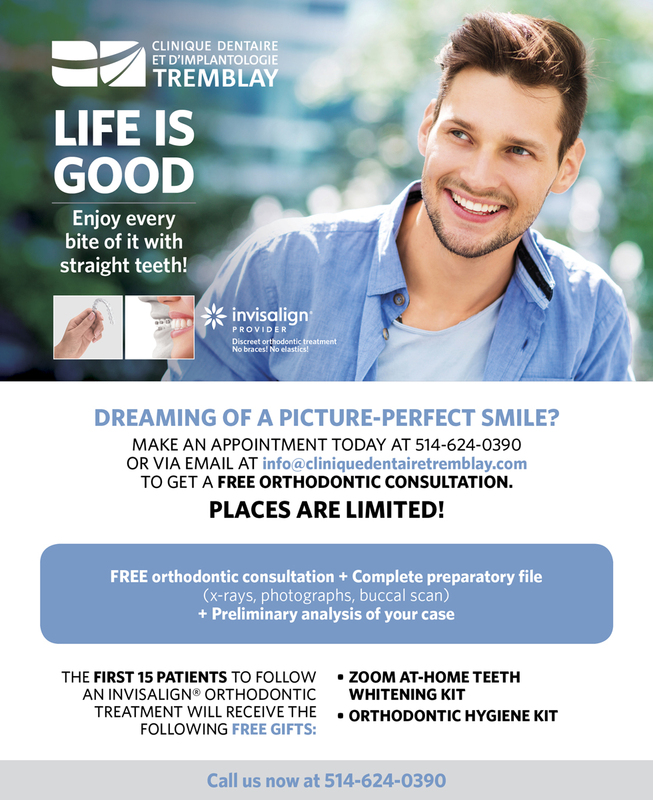 At the Tremblay Dental Clinic, our dentists are experienced and certified for Invisalign treatments. Do not hesitate to let our experts proceed with the inspection of your smile. 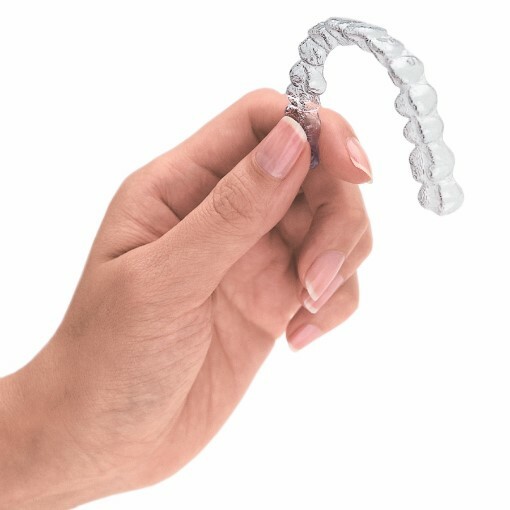 The efficiency of Invisalign has been clinically proven. Communicate with us right now to see what our dentists suggests for your oral health.